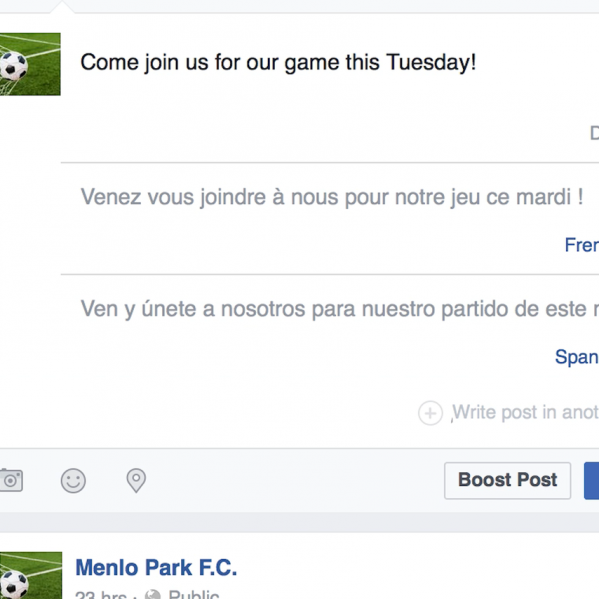 If your business has clients in different countries, or you just want to extend your messages to friends overseas in their native tongue, then Facebook’s new multilingual composer might help you get the right message across. The new composer will work across the 45 languages that Facebook currently serves. Imagine you write an English post, choosing an option to translate it into French. The audience members who have their language set to French will see your translation first. In Facebook’s trials, around 5000 business pages used the multilingual composer. They received 70 million views. Of those, around 25 million viewed a translation. As no translation made by machine is 100% reliable (just try Google translate for hilarious results! ), there is also the option to edit the suggested translation, if you happen to have a native speaker on hand. So, try (or essaie, versuche, provaci!) and tell us your thoughts regarding Facebook’s latest update.